Today’s blog is a guest post written by my student Amy Reynolds. Amy (pictured below) came to study with me a year ago, and together we’ve enjoyed quite a journey. Here, in her own words, she explains how we went about obtaining her dream, which was to study the piano at a British music conservatoire. After hours of dedication and hard work, Amy now looks forward to studying at the Royal Welsh College of Music and Drama on the B.Mus course next September, where she has been awarded a scholarship. The one thing I struggled with when I first thought of applying to study at a music conservatoire was the lack of information about the required entrance audition standards; yes, they all say Grade 8 ABRSM distinction or equivalent, but many of us know that’s not strictly the case. There is not enough information available for prospective conservatoire students, aside from that on a music college’s website. I would prefer to see something written by students already studying at a music college, or those who haven’t been successful, but share their experiences anyway, because it’s useful information. As someone who didn’t go to a junior department of a music college, or a private music specialist school, it has been difficult to obtain an understanding of how music colleges work. Which is why I’m writing this article, not only to share my experiences, but in the hope that other young musicians might find this information helpful. I’m often asked ‘why do you travel so far to have piano lessons?’ I live in Bristol (in the South-West of the UK) and travel to Maidenhead (25 miles west of London) for my lesson every week (a journey of an hour and a half each way). This is one question that I find very interesting. Many people (including friends) don’t understand how important it is to find the right teacher. Now I have evidence that going the extra mile, quite literally, means that you will get results. I don’t come from a wealthy or musical background, and I certainly don’t come from the perfect family. Music is a universal language which speaks beyond background. I have always loved music. I began learning the violin at age 6 and my mum and my grandparents have always fully supported me. However, it’s through my own determination that I’ve managed to get as far as I have. Parents can only do so much to help with your practise, the same goes for teachers, you can have the best teacher in the world, but only you can make improvements with the tools your teacher gives you. You need to be strong and resilient to fight for what you want, the competition is fierce. I started learning the piano at the age of 12. A relatively late starter. I’ve always known that being a musician, especially a pianist, is no easy feat. Coming across obstacles and defeating them is part of the process of your development as a person and a musician. I welcome constructive criticism and healthy competition now, but when I was younger I really took it to heart. Whenever I mentioned the word ‘conservatoire’ in secondary school, I was quickly put back inside my box. I was told such places were almost impossible to get in to, and I was no-where near the standard they expected; it was too far ‘out of my reach’ because of the age I started learning to play the piano. I’ve been told this so often, by older friends who went down a more academic university route, and by teachers at school. This made conservatoires all the more interesting. I knew of so few people who had been to one. It got to the point that I had built up this world inside my head of normal musicians verses musicians at conservatoires, which I know now isn’t healthy thinking, but it did give me that extra push I needed to work harder. My first piano teacher took me through from the very beginning to Grade 8. Because of the violin I could already read the treble clef, so she started with the bass clef and we went from there. Our lessons were filled with fun activities and I learned a lot from her, but the thing she didn’t teach me was technique. Of course we had the discussion about not squashing the hamster or Ping-Pong ball when I first started! But we didn’t touch on anything else. It wasn’t until I started sixth form at Bristol Cathedral Choir School that I realised how much I needed to improve my playing if I were to become a professional pianist. When I started lessons with a teacher there she explained that tension was the cause of the pain in my forearms, wrists and shoulders. I made the common mistake of thinking that playing demanding repertoire was the answer, little did I know that playing less complex pieces properly was a far better option. I fell in love with Rachmaninov’s Prelude in C sharp minor (Op. 3 No. 2), but unfortunately this only exasperated the tension situation. I found it almost impossible to play without some form of pain shooting up my arms. Towards the end of the summer in 2015, I had an email from my piano teacher at Cathedral School, saying that there were limited places left on a three-day course that Melanie Spanswick was running at Jackdaws Music Education Trust in Frome. She thought the course would be good, and would help me to get a broader understanding of the cause of my tension, and learn more about technique. The course focused on ‘Piano Technique, Memorisation and Sight Reading’. I booked immediately. Looking back at the notes I made on that course after studying with Melanie, and attending the course this October, I see how blissfully unaware I was of the whole concept of piano technique. I had already decided by this point that I was going to take a gap year because I knew I wasn’t ready for the standards audition panels expect. After this course I had never been more inspired, the way Melanie approached technique fascinated me. It was a completely different concept that I hadn’t come across before. So, when my teacher went on maternity leave, I emailed Melanie and asked her if she would teach me. She replied very quickly saying that she would. A few days later (January 26th 2016) I was having my first lesson! Melanie asked me what I had been learning, what repertoire I had played in the past (including chamber music) and how often I performed. I didn’t play much in this first lesson, looking back now I realise that she was assessing my technique and the way I learn. I must admit, I felt quite intimidated knowing this lady went to the Royal College of Music and had an amazing biography. It was like being in the same room as a celebrity. Saturday afternoons soon became my favourite part of the week. One of the first questions she asked me was what I wanted to achieve from my piano playing. I told her that I to be a professional pianist and study at a UK conservatoire. She was rather shocked and told me that I wasn’t close to the standards such institutes demand. Melanie has always been very honest with me, sometimes brutally, but I am so grateful that she has consistently told me nothing but the truth. This gave me even more motivation to work harder. It was clear that my Grade 8 distinction was not going to be anywhere near enough in terms of securing a place. When I first realised how inadequate my technique was, I struggled to look at my hands, knowing that I had to undo every single bad habit honed over the past 5 or 6 years. It has taken many hours of practice to get to where I am now, and I still have lots to improve on, but I wouldn’t have been able to do it without clear structure in my lessons alongside setting myself goals. I feel quite passionate about discussing the difficulties I have faced technically, because I’m sure there are others out there who have faced the same situation. I think knowing that Melanie learned to play the piano at a later age (like me), has helped me believe that there is potential in everybody, including myself. The first piece we worked on in a truly technical manner was J.S Bach’s Two-part Invention in C major (No. 1). I became excited about this new world of technique. I swapped my social life for hours meticulously picking through Bach and Czerny exercises. We focused on dropping my wrists, learning flexibility and the feeling of relaxation needed to play with ease. Playing deep into each note and taking care to make sure everything was exactly even in tone and even rhythmically too. It actually took me a month to understand that the reason I wasn’t playing notes exactly evenly was because I wasn’t concentrating enough on what my body was doing, or listening to the sound I was creating. I was flabbergasted by the level of concentration needed to track every single movement from your back, shoulder, through your arms wrists and finally your fingertips. This was because I’d never practised or learned in this way before, being aware of every single movement. I still find it quite a taxing task, and often find myself daydreaming and losing concentration – that is when I know it’s time for a break! Melanie really took me back to basics. She helped to undo all the habits that I had built up over the last few years. This meant retraining my ear In order to pick up on the smallest of tone and technical errors; my eyes watching every movement I made, and most importantly the feeling necessary to achieve this. Being able to feel free, and when I say free I mean tensionless, relaxed and flexible. This was the biggest obstacle I had faced so far as a pianist, the concept of freedom when one plays, was completely alien to me. Of course you need tension to play otherwise you would make no sound, but there’s a big difference between unnecessary and necessary tension. This was the first step into finding freedom at the keyboard. First I was taught to drop my wrists as far as they would go whilst having my fingers holding notes down. Once I had ‘released’ the tension I would then move my arm around, and my wrists up and down to check that they were free, if they weren’t then I wouldn’t have full flexibility and movement. Melanie would hold my fingers on the keyboard allowing me to release all tension, this was extremely useful in helping me to understand the feeling of being relaxed. I do this on myself using my other hand when doing separate hand practise, which is especially useful for octaves and big chords; encouraging my hand to learn how to relax when it is in an out-stretched position. When I was able to do this with ease, we moved onto wrist rotation, starting with a simple 5 note exercise beginning on C. To achieve this I would play the first note, drop my wrist in the way I explained earlier, and then swing my wrist around to play the next note. All the while paying attention to feeling free and playing on the tips of my fingers. I learned that the wrist is one of the most important components in piano playing, especially how it needs to be separate from the hand and arm. I like to describe it as something floating in the middle, like a cloud, to cushion the sound and the action of the fingers. I had the common problem of ‘weak fingers’, not only would the joints of my fingers collapse, but the bridge of my hand would as well, meaning I had absolutely no control over what I was playing. So by going back to basics, I have been able to strengthen the ability to command or tell my fingers to do exactly what I want. We talk about strengthening fingers, but this isn’t exactly correct because we have few muscles in our hands; they mostly consist of tendons. We strengthen the neurological connection to our fingers, hands and arms meaning that we can ship information to them quicker. A bit like a broadband connection that has just been upgraded to fibre optic! It’s surprising how much technique overlaps, arm weight can help support weak fingers, but without using your wrist correctly you won’t achieve a deep sonorous sound. Melanie also advised me to completely ignore dynamic markings and all markings on the page to begin with (aside from the notes of course!) when first learning a piece. Instead, I always played deeply into the key bed, creating an even tone throughout. This is something that I continue to do, and she could tell you that it is a habit I’m still getting used to following! It’s definitely the best way to learn control and create evenness. I love making lesson notes, which I do on the train after my lesson. I also set myself daily and weekly goals, as well as following what Melanie has set me. I find this really helps to organise my thoughts and be effective in the way I go about my practise. We had to work very quickly because my A Level recital was soon upon us, and I needed 15 to 20 minutes of contrasting repertoire. We then looked at the Trinity College diploma syllabus and chose a few pieces: The first movement of Sonata in C minor Op.10 No. 1 by Beethoven, a selection from the Night Pieces by Peter Sculthorpe, and the J.S. Bach Two-part Invention (No. 1 in C major). Due to certain family circumstances, I had no access to a piano to practise at this time, but I did manage 2 hours a day at school. Despite this, I managed to achieve an A star in my A level recital. We then worked towards my ATCL diploma in piano performance, primarily as a kind of ‘warm up’ for the approaching entrance auditions. I took the diploma in late September at Trinity Laban Conservatoire of Music and Dance. My programme consisted of the complete Piano Sonata in C minor Op.10 No. 1 by Beethoven, Night Pieces by Peter Sculthorpe and Intermezzo in A major Op.118 No. 2 by Brahms. This programme was about 45 minutes long; the longest performance I had ever given. A few days prior to the diploma, I played a lunchtime recital at Bristol Cathedral, I was surprised by how silent the audience were. I’ve been a regular at the lunchtime recitals in the cathedral, and know that the audience are usually quite noisy and renowned for leaving early, so I was delighted by the fact that I had managed not only to fill the nave of the cathedral, but also to captivate this audience. I felt this was a great achievement. It was definitely one of the highlights of my year, as was receiving my ATCL certificate! I applied for places at six conservatoires (Royal Northern College of Music, Royal Conservatoire of Scotland, Royal Welsh College of Music and Drama, Birmingham Conservatoire, Leeds College of Music and Trinity Laban Conservatoire of Music and Dance), and we eventually adjusted my programme to suit the musical and technical demands expected at entrance auditions. I played the first movement of the Beethoven Sonata in C minor (Op. 10 No. 1), Stars from Sculthorpe’s Night Pieces and Prelude in B minor Op. 11 No. 6 by Scriabin. The Scriabin Prelude is, for me, a tour de force in octave technique and we spent much time (sometimes a whole 2 hour lesson) learning the necessary technique this work demands. During this time I was practising four to six hours a day. For entrance auditions, I needed to play from memory (not something I was accustomed to doing). Possibly the best thing I have learned from Melanie, aside from physical and mental freedom when playing, is memorising music right from the beginning. If you start out with the intention and mind-set to memorise a piece then it will be easier. It is much harder if you learn the piece first and then want to go back and memorise it. This is because you have already built your mental practise around a sheet of music not something which can float around in your mind. Memorisation is a very psychological thing, and one which I was absolutely terrified of. That was only because it was something I hadn’t done in the right way before, if you go in with an open mind you can achieve anything. It helps if you memorise each hand separately, starting with the left hand first, because the left hand is the anchor to any piece of music, there is something psychological about it. If our right hand loses its way we seem to be able to stay on track, but if the left hand disappears, it’s a challenge to pick up the musical threads. Recognising patterns in chords, sequences or structure also helps. I now understand why playing from memory has become such a commended thing, because it really makes you pay attention to every aspect of the music and your technique. Once something has been memorised you can practise it in so many different ways, altering the rhythm adding accents, and playing with different articulation. I had my first audition on 27th October, which was extremely early in comparison to other colleges. Since then, I had an audition almost every week for the next eight weeks, and it was certainly tiring. But travelling around the country was a great experience. My last audition was on the 12th December. By then I had already received five unconditional offers and one scholarship; a week later I got an offer from Trinity Laban Conservatoire, for a total of six offers! I was completely blown away; in eight months of having lessons with Melanie, I had taken my diploma and received offers from six conservatories. I know that there was no way I could’ve done it without her, or without my own determination, and I’m also on the way to building a secure technique free of any pain, discomfort or tension. This proves that it is possible to get or do anything that you want. Music conservatoires. Opinions are rife as to whether they are an ideal way to study music; some find them inspiring, others wish they had studied elsewhere. My own experience at the Royal College of Music was amazing and a really steep learning curve; it was a privilege to study at such a great institution. I will forever be grateful for the day I walked in to the audition at the junior department as a 15-year-old school girl, with short hair, sensible shoes and no clue about the journey on which I was embarking. My experience now seems a distant memory, so I thought it might be helpful and interesting for those inquisitive of conservatoire study, if a current piano student wrote about their musical journey thus far. 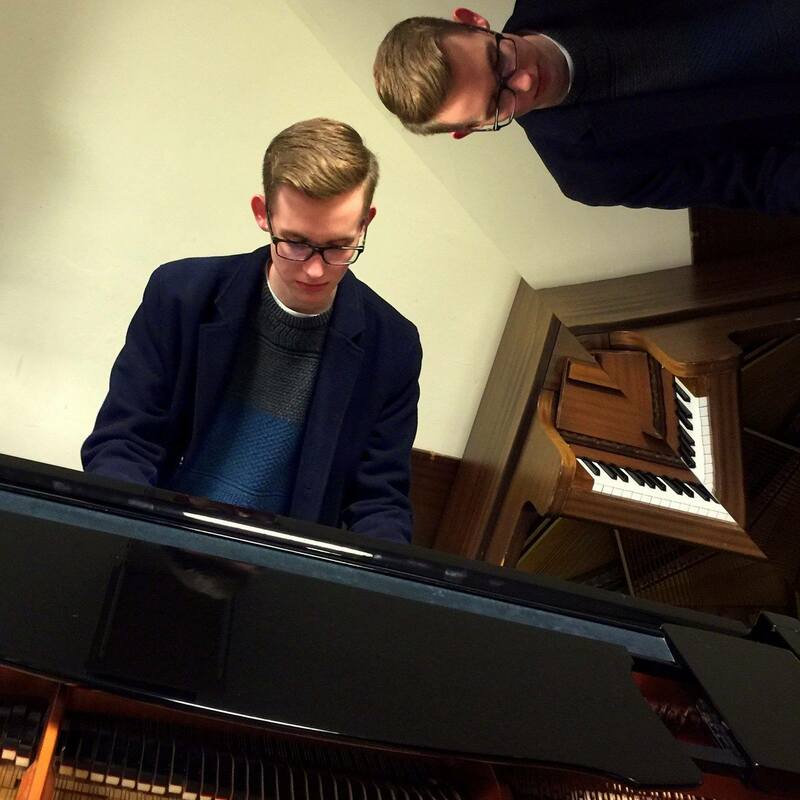 Lewis Kesterton (pictured below) is a second year student at the Birmingham Conservatoire on the B Mus course studying with Professors Mark Bebbington and Katharine Lam. In the following article (in italics) he sums up his music first year spent at music college. Challenging. Rewarding. Inspiring. These are just three of the many words I could use to describe my first year at Birmingham Conservatoire. It’s quite hard to believe that I’ve already been here for over a year; it’s been a whirlwind of a time! I’ve been through the mill both pianistically and personally, but I’ve come out the other side ten times the musician I was before, and I’m so excited to now be continuing on my journey. Throughout the course of the year I’ve met so many amazing musicians who have become friends for life, observed masterclasses and concerts from world class performers, and been pushed far beyond what I thought I could achieve. All in all, I am certain that I made the right decision in coming to music college, and I would really encourage anyone who has a real love, talent and passion for music to do the same. My year began in the same way as for thousands of other students across the country. Moving to a new city was always going to be a challenge, however familiar I may have been with it beforehand. Birmingham is often looked down upon as a city, the Conservatoire included, which is something I feel really needs to change. Having now spent a year living in the heart of the city, my eyes have been opened to how cultured, diverse, and developing Birmingham really is, which is why more than 6,000 people left London for England’s second city last year. Living away from home was something that I had always been very keen on doing, and I’m so very glad that I did! It was far from the most glamorous living conditions I could have wished for, but I would encourage anyone to do it if they have the opportunity, as it gave me a whole new level of independence, and bridged the gap between home living and self-sufficient living (which is where I am now) perfectly. Aside from that, living in such close proximity to other musicians from the Conservatoire helped me to build friendships that will last a lifetime, both personally and professionally. Studying at a conservatoire is, without a shadow of doubt, an all-encompassing experience. Along the way I’ve been thrown into situations that I hadn’t exactly envisaged. Of course, the endless opportunities to try out new repertoire in performance classes, observe masterclasses, receive world class one-to-one tuition and the plethora of academic activities set conservatoire education apart from that of a normal music degree. However, one of the things I’ve really loved about my time at Birmingham so far is that you’re often pushed well out of your comfort zone. World music classes have been a fine example of this! Never during the open days where I toured music colleges in awe of their facilities and course offering, did I imagine that a year later I would find myself standing in a circle, hopelessly trying to play samba music on a drum. Nor did I imagine that I would end up sitting cross-legged (which I actually find surprisingly comfortable) on the floor attempting to play gamelan instruments. No, these haven’t exactly been the most exciting of my achievements in the past year, but they have helped to open my mind to the vast array of possibilities that music has to offer. Always expect the unexpected. Having friends who study at different music colleges around the country has given me a valuable insight into how courses differ between institutions. Overall, I have found that Birmingham offers one of the most varied out there. A typical week in my first year included a variety of activities outside of my first study area, which have opened my eyes to the different possibilities music can offer. I’m not going to lie; Mondays were a slog! Early mornings began with ‘Performance Traditions’. This was interesting in itself, as the module split the year-group in half, swapping activities halfway through the year. I began with world music, which I mentioned previously, and after Christmas changed to lectures, teaching us about different aspects of performance and how they have changed over time. Following this, my late morning and early afternoon would be spent practising, or at least hunting for a room on one day everyone needed them! At 2.30pm, everyone would venture to the Birmingham Midland Institute for a History lecture, with the evening culminating in a Chorus rehearsal until 6pm. Tuesday’s schedule was far less intense. I would begin practising in the early morning, usually arriving in college for 8am. Later, I would return to halls to catch up on academic work, and continue practise in the evenings. Wednesday began with a history workshop, consolidating Monday’s lecture, followed by performance class, and accompaniment class in the evening. Thursday was another heavy practise day, with the whole morning being free. The afternoon was largely taken up with a 3 hour masterclass, a highlight of the week! Friday was another more academic day: harmony and aural classes in the morning, followed by Alexander technique sessions. Despite the often-hectic schedule, I usually averaged between 3 and 5 hours of practice per day last year, plus frequent chamber music and vocal accompaniment rehearsals. One of the things I was a little disappointed about when I came to Birmingham was the number of hours allocated to first study piano lessons. Having 30 hours a year, split 50/50 between my two teachers, worked out at roughly one per week. However, I feel that the variety of activities on offer at Birmingham make it reflective of the life of a modern musician, something I think is very important. The time at which I joined Birmingham has really made for a unique experience. There’s been so much excitement this year following the appointment of Julian Lloyd Webber as Principal, the Conservatoire gaining its first Royal patron, and seeing the new building develop. That being said, this year hasn’t come without disruption. Our home effectively becoming a building site has made my studies here very interesting. Wading through thick crowds of photographers, journalists and enthusiasts in the first stages of the demolition of the old library, and trying to block out the noise of builders prising the metal frame of our concert hall apart during practise sessions hasn’t exactly made life easy. Despite the continuing disturbance though, these things have all contributed to making my time here special, and if nothing else, memorable! I am so excited to be moving to our new state of the art home next year, but I also feel honoured to have seen the Conservatoire’s history, and be a part of its transition. Of course, as a pianist, the chance to listen to others perform and work with some of the world’s finest pedagogues has been truly inspiring. Over the course of the year, I’ve had the chance to observe masterclasses lead by the likes of Peter Donohoe, Pascal Nemirovski, and Hamish Milne, just to name a few. Much of what I have heard is far beyond my own current capabilities, but I cannot begin to explain how much I am still able to take from the classes. It amazes me to see what a difference sometimes the simplest of techniques and gestures can make to someone’s playing, and often these are relatable to my own repertoire. What I really find inspiring about the masterclasses here though, is the ability of these world-famous performers to draw out the very best in the students here. So no, our facilities here may not currently be the most impressive, but the incredible music making that goes on inside definitely is. Before I came to Birmingham, I’d only ever had one other piano teacher, so to be commencing my studies here with two new teachers, Mark Bebbington and Katharine Lam, was really quite daunting, even though I’d started having lessons with them a few months before. 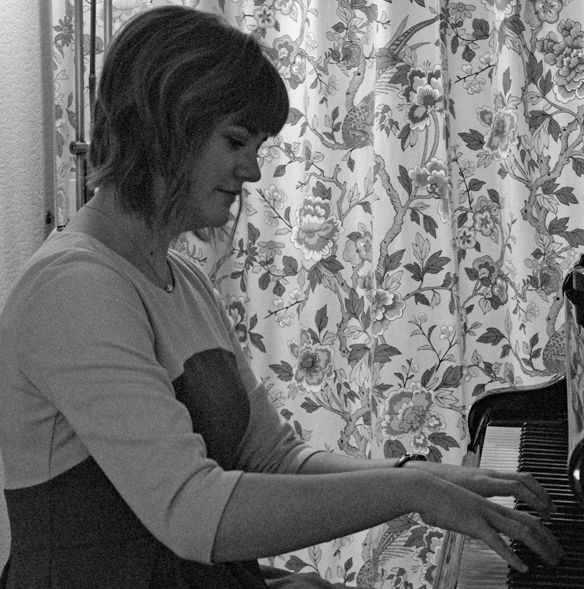 From the outset, I knew that the style of teaching I would receive here would be very different from that I was used to, though of course, as I stated in my first post, I will be forever grateful for my first piano teacher, and how she inspired me to become the musician I am today. I’m so glad, and indeed lucky, to have found two teachers who cater for my needs so well. Having been late in deciding that music college was the best path for me to take, my technique was quite behind where I would have liked it to have been when I arrived. However, both of my teachers have focused on different aspects of technique with me, and even though I have a very long way to go before being anywhere near happy with it, I am now in an abundantly better place than I was this time last year. For anyone who might be apprehensive about one to one lessons at a music college, make no mistake, if you make the most of them, they are incredible. Every week I leave the room amazed at the way in which my teachers are able to guide me through my repertoire. I often think of my lessons as if they’re a visit to the doctors’ surgery. I go in with my pieces carrying a vast array of symptoms, and in need of some direction, and then leave with a prescribed set of instructions and ideas that, as long as I stick to a regular dosage of practise, will lead my playing to a new level. I could go on writing for hours about my endless challenges and fantastic experiences I’ve had here in my first year at Birmingham. Believe me, I really could! From my first experiences of chamber music to singing in a radio 3 broadcast of Verdi’s monumental Requiem, I really have done it all! However, all you need to know, aside from what I’ve already told you, is that if you have a real love for music, whether you aspire to be a performer, teacher, music therapist or indeed anything else in the music industry, then music college is the perfect place for you to be. Yes, it’s very intense, and you will be faced with situations that will really push you as a person and a musician, but the time you’ll spend there are sure to be some of the best years of your life.